We have been discussing the meltdown at airports due to the latest gross negligence by the Transportation Security Administration. At O’Hare, passengers are facing three hour delays with thousands missing flights and even having to rent hotel rooms when unable to make it to their gates in time. What is incredible is that Homeland Security Secretary not only denied that there was any crisis in grinding airports to a standstill but also seemed to blame passengers for failing to yield to the pressure to accept the expedited screening program called PreCheck. Many people object to the program as yielding privacy under coercion from TSA: share personal data or face hours of waiting as punishment. TSA admits that it assumed more passengers would yield to the pressure. They did not. It also admits to failing to properly staff security in a ten percent cut of screeners — a colossal blunder of under-estimating travel numbers. Yet, again, no one appears to be accountable for this massive failure that has left thousands stranded and airlines struggling to reschedule flights, including a separate TSA failure that resulted in the loss of thousands of bags. Homeland Security Secretary Jeh Johnson simply told passengers “to be patient” and come three hours early. He added “Our job is to keep the American people safe. We’re not going to compromise aviation security in the face of this.” Really, if the TSA was serious about aviation security, how about fully staffing security gates? 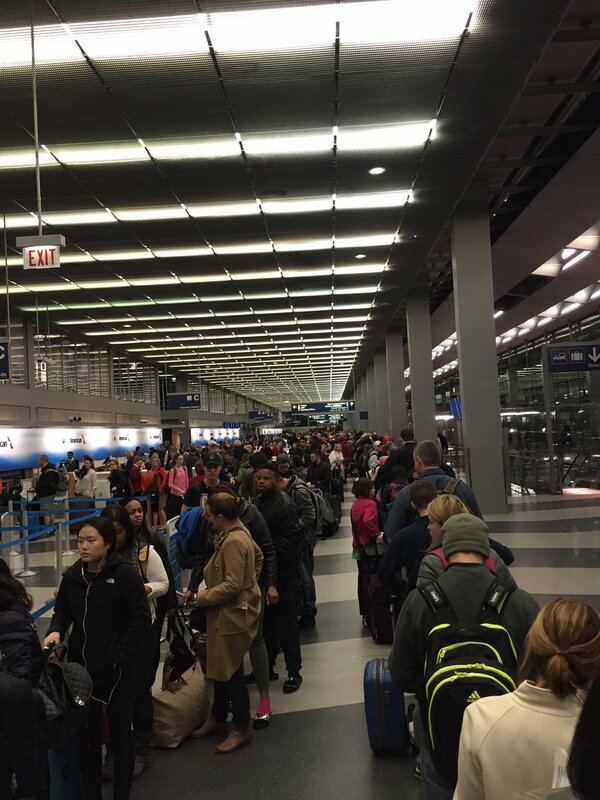 The threat to security is to mismanage airports to overload understaffed security gates. TSA appears to be pointing fingers at Congress and vice versa. There is clearly enough blame to go around, but it is clear that TSA made ridiculous miscalculations and seemed surprised by citizens not yielding to the choice of waiving privacy or waiting in lines. Citizens seem to have the bizarre view that, after hundreds of billions of dollars invested in our airports, they should be able to make their flights without waiting longer in TSA lines than the actual travel time on aircraft. It is curious expectation of competence and minimal levels of service from their government. Maybe we really are to blame. Why Is The Iran Report On The Treatment Of U.S. Sailor’s Still Classified?